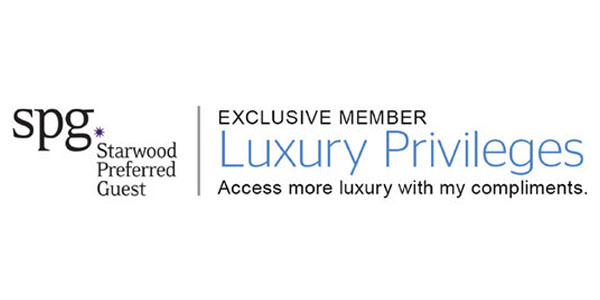 Starwood Luxury Privileges is Starwood’s new exclusive preferred partner program that offers value-added amenities when you book through select luxury travel agents like Propeller Travel Management. Update: Starwood and Marriott finalised their merger. At the moment – All Starwood Luxury Privileges Program properties continue to provide full benefits and accept new bookings extending Starwood Luxury Privileges amenities to our customers. Our clients can enjoy the following benefits when staying at any participating SPG property when booked on the best flexible rate. Agents at Propeller Travel Management will advise you of the best value you can receive through the Luxury Privileges, and we will combine that a lower priced room (if available). Additionally, we can secure other amenities for you through other programs and your SPG status of course. And of course, all these nights count towards your elite stays, night credits and SPG status!